2 Bdrm Grnd flr Flat. Hall. Lounge. Kitch. 2 Bdrms. Shower rm (CT band - B). Garden. Garage. Parking. Price over £125,000 Entry by arr. Viewing contact solicitors. Below Home Report Valuation (EPC band - D). 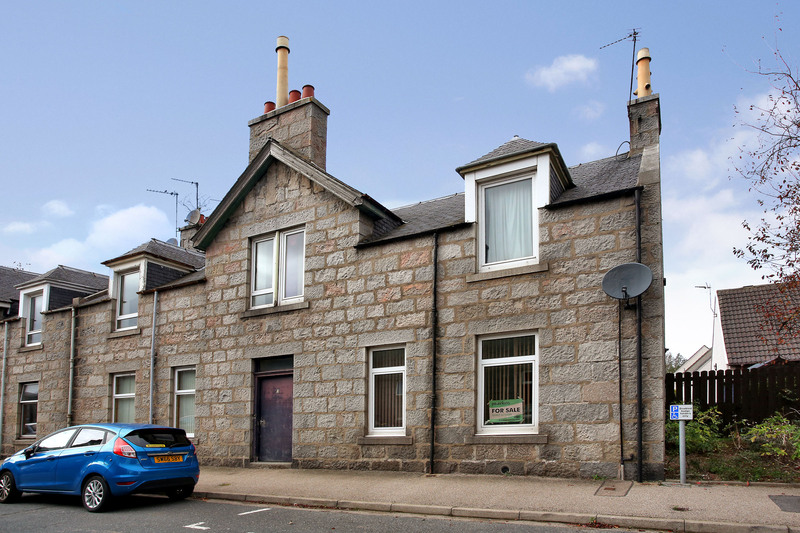 This spacious newly redecorated and upgraded two bedroomed ground floor flat located within a traditional granite tenement building only minutes from Inverurie town centre. 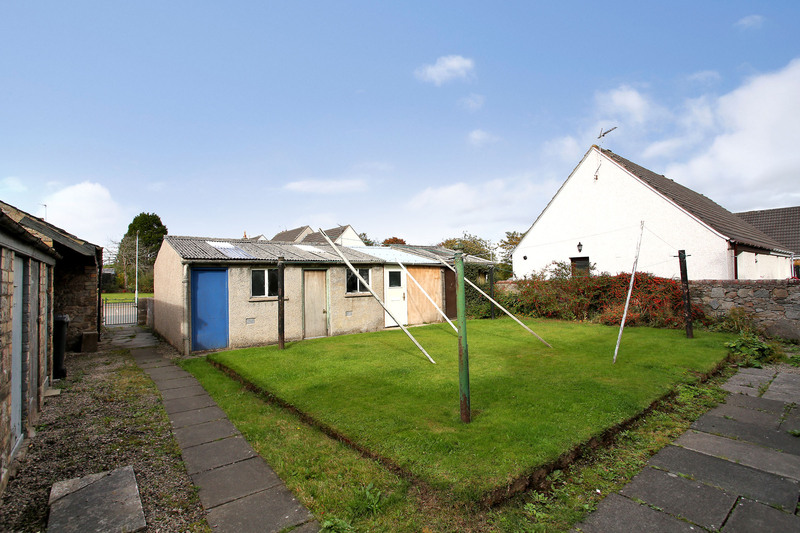 The property benefits from both Gas central heating and double glazing and has a shared garden, single garage and driveway. Location: Inverurie is an expanding and prosperous town with excellent road and rail links to the north and south including Aberdeen, Dyce, Huntly and Elgin. There are several primary schools and Inverurie Academy provides secondary education. There is an excellent health centre, several large supermarkets, a swimming pool and community centre nearby as well as golf, tennis, bowling and hillwalking. Directions: From the centre of Inverurie continue up West High Street taking the right onto Constitution Street. Continue on Constitution Street until reaching the roundabout at Tesco and take the first exit onto Harlaw Road. Continue on Harlaw Road and Princes Street is the fourth road on the left. Number 2B lies on the right hand side indicated by a Peterkins For Sale Sign. Entrance: Accessed from the main street by a solid wooden door into a communal hallway. The property is located on the ground floor right. Hall: The flat is entered through a wooden front door with glass fanlight above. The hallway is decorated neutrally with smoke detector, and an upper level cupboard houses the fuse box and card meter. 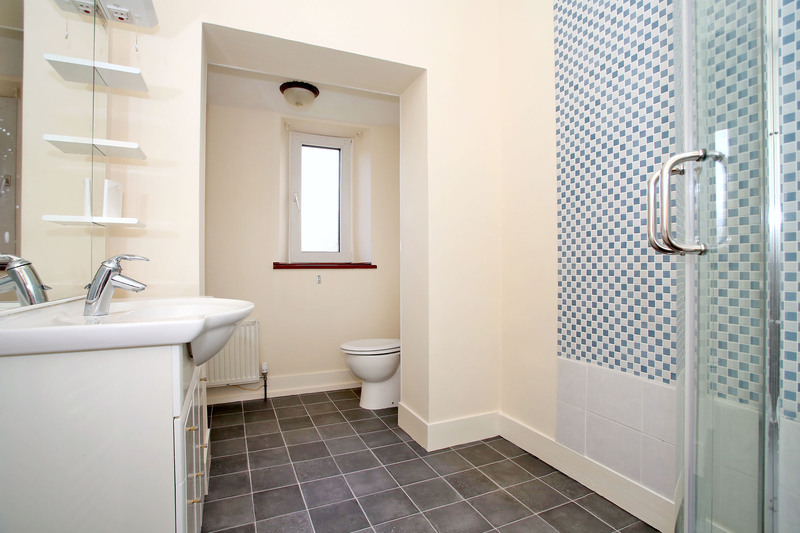 Doors give access to the lounge, kitchen, bedrooms and archway through to the shower room, all recently decorated with newly fitted carpet. Lounge: 12’10” x 11’11” (3.91m x 3.63m) The lounge is located to the front of the property with vertical blinds and curtain pole, decorated neutrally with ceiling light fitment and original coving. There is a television point and low level cupboard which houses the meter. 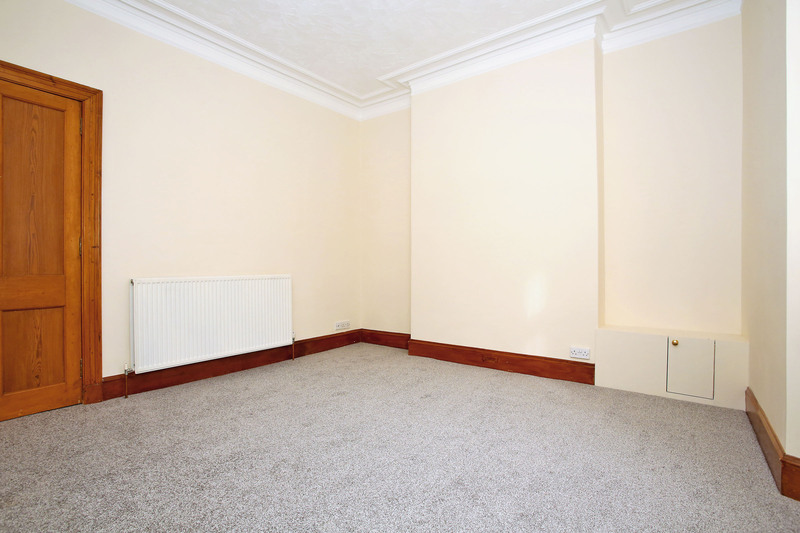 Original woodwork and deep skirting boards. 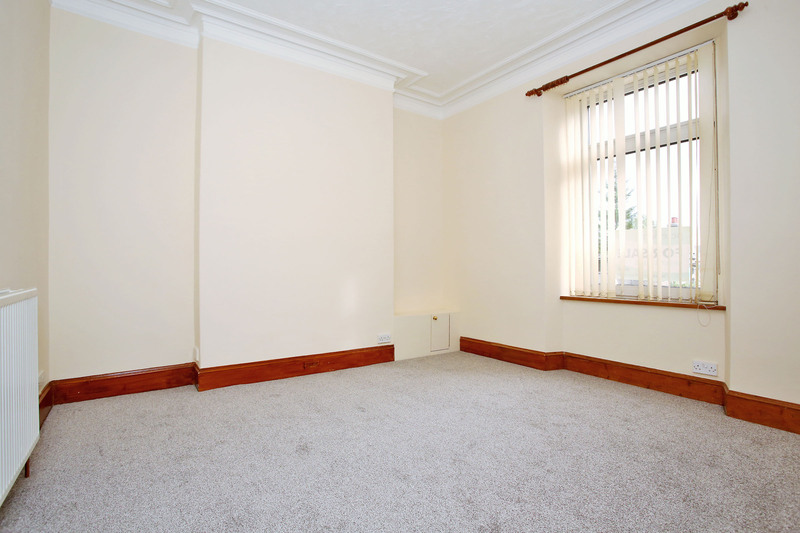 The lounge is decorated neutrally with newly fitted carpet. Kitchen: 8’2” x 7’3” (2.48m x 2.20m) The kitchen is an eating kitchen located to the side of the property with window, ceiling light fitment and decorated neutrally. The kitchen has a newly fitted range of wall, base and drawer units with white frontals and wood effect laminate worktops and splashbacks. 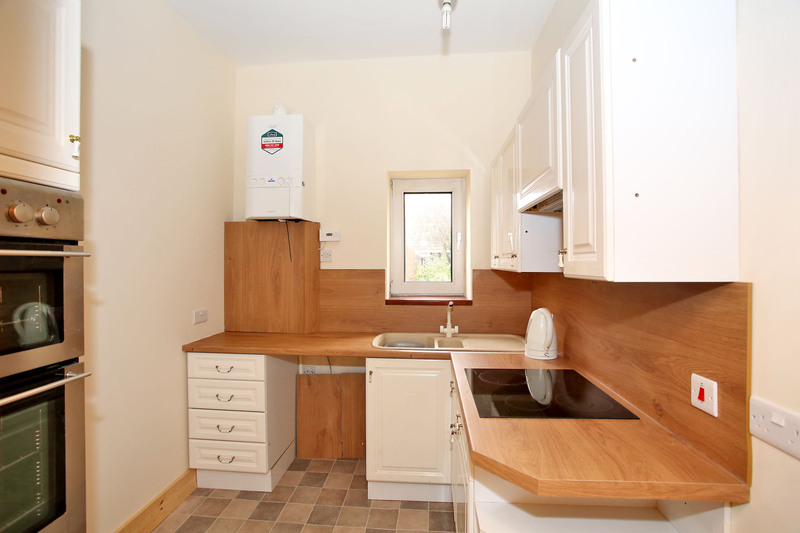 There is a four ring ceramic hob with extractor hood above, 1½ bowl sink with mixer tap and drainer. Wall mounted boiler. Double eye level oven. Plumbed for washing machine. Corner shelving. Newly fitted tile effect vinyl flooring. 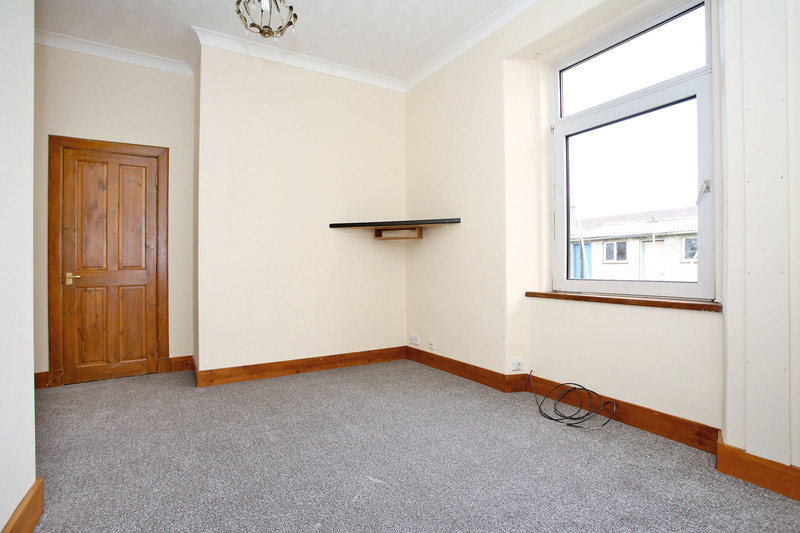 Space for a small table and chairs. Bedroom 1: 12’7” x 12’0” (3.83m x 3.65m) The first of two bedrooms has also been decorated neutrally with television and telephone points and corner shelf which could potentially hold the television. Original wooden door and surround. 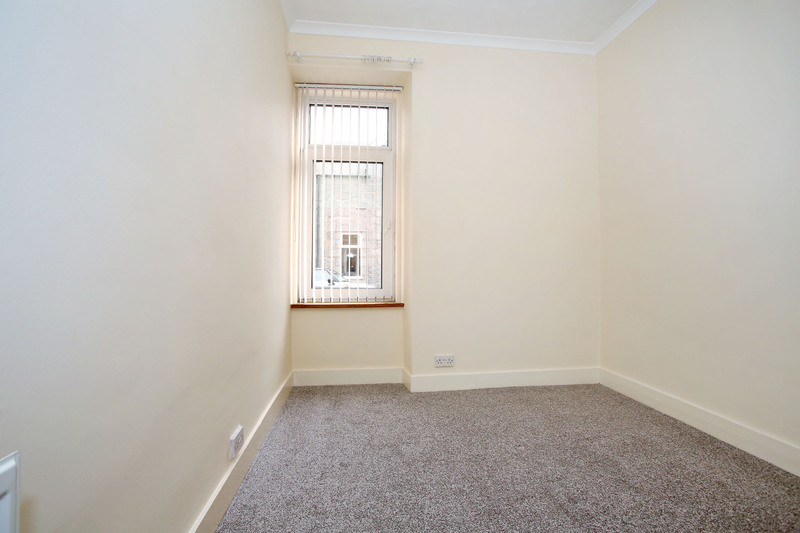 This bedroom is also completed with newly fitted neutral coloured carpet. Door gives access to a large built-in storage cupboard which has coat hooks and light. Bedroom 2: 11’8” x 8’7” (3.55m x 2.61m) The second bedroom is located to the front of the property with window with vertical blinds and decorated neutrally with ceiling light fitment, coving and completed with neutral coloured carpet. Side Hallway: An archway leads along the hallway to the newly fitted shower room. There is an upper level cupboard which provides great storage. Neutral décor. Light fitment and same newly fitted carpet. 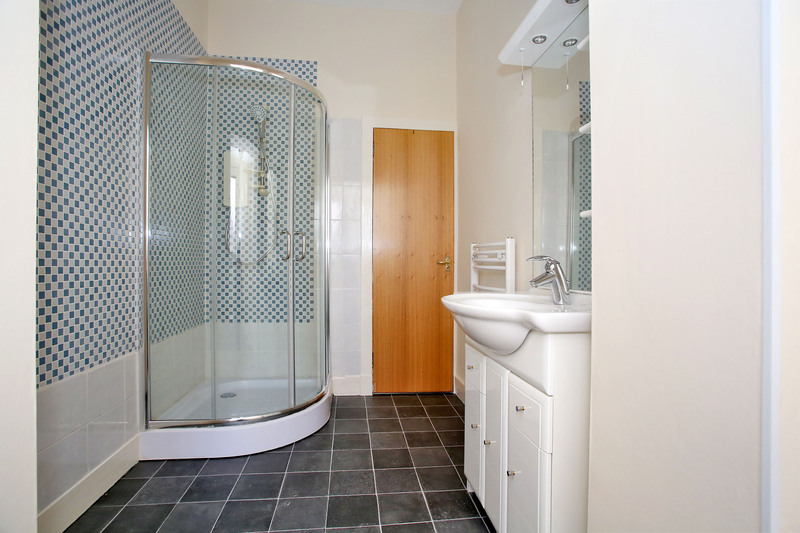 Shower Room: 10’11” x 6’11” (3.32m x 2.10m) The well-proportioned shower room is fitted with a white two piece suite comprising wash-hand basin on vanity unit and W.C. Opaque window to rear which fills the room with natural light. There is also a ceiling light fitment. The corner shower cubicle has “Mira” shower and mosaic tiling to ¾ height and further tiled surround. Neutral décor. Mirror above wash-hand basin with downlights and shelving. White ladder style heated towel rail. Tile effect vinyl flooring. Outside: To the rear of the property is a shared garden with drying green and a shared communal store for bins. There is a stone outhouse exclusive to the property. There is a Single garage with up and over door and a driveway with parking for one car.